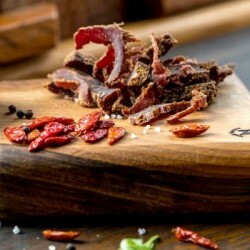 Air dried beef snacks made from traditional breed, grass-fed, free range British beef created in the heart of the Worcestershire countryside. 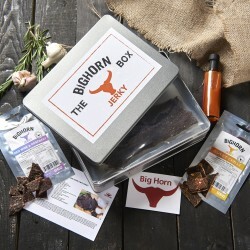 Founders Simon and partner Carole developed BigHorn Biltong through a love for good food, fine beer and a desire to escape the rat race of corporate business. 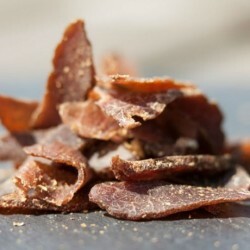 A tasty high protein snack made from British traditional breed, grass-fed cattle. 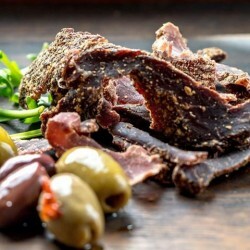 All their meat is supplied by Martin's Meats, in Toddington Gloucestershire and is grass fed, free range, and 28 day aged in Himalayan Salt Chambers. Almost sinless (with less than 100 calories per 35g pack) completely free from colourants, artificial preservatives and MSG, this really is guilt-free, healthy snacking at its best! Their meat supplier's beef has won a staggering 18 Gold Stars in the last 3 years alone at The Guild of Fine Food Awards!